Sometime around late January or early February of each year is a holiday that is widely celebrated in Asian countries. This year it’s on Feb 8, 2016. 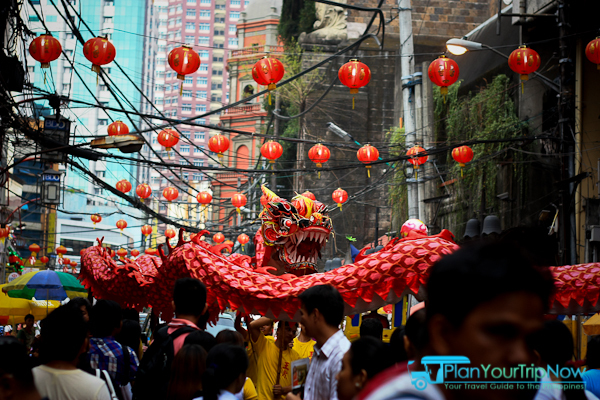 If you are in the Philippines, you would most likely hear “Kung Hei Fat Choy” or other similar Chinese New Year greetings not just in Chinatown Manila but also its outskirts. This is because the ethnic Chinese has become a huge part of Filipino culture, as manifested in food, language, and traditions. Just recently, Chinese New Year has been declared one of the non-working holidays of the Philippines. Hence, even non-Chinese Filipinos are quite familiar with Chinese New Year traditions. Chinese New Year in the Philippines is celebrated pretty much the same way as in Taiwan, Hong Kong, and other parts of Asia. 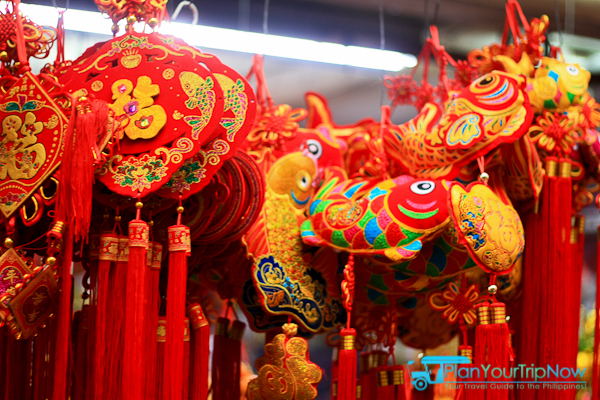 There are the iconic fireworks, incense burning in temples, sweet cakes (“tikoy”), dragon dances, and food banquets. Like their Asian counterparts, Chinese Filipinos (called Chinoys – ) value good fortune and maintain certain practices to attract it, like offering and serving round pastries and fruits to ancestral altars, and setting off fireworks to ward off evil. People wear red, supposedly the color that attracts good luck. 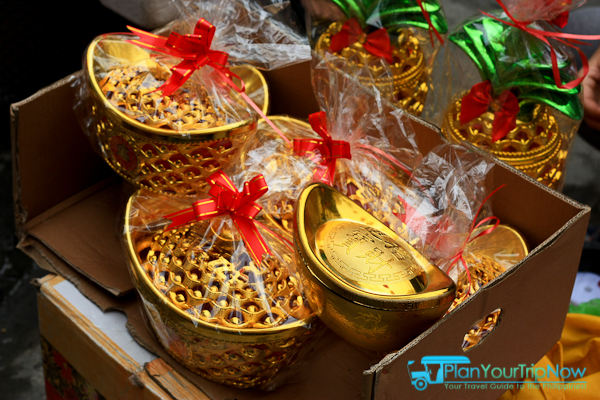 For Chinese New Year 2016, how about visiting Binondo, Manila’s Chinatown? The sights and sounds of this bustling area will really get you into a festive mood. But be sure to get there early! Binondo, a district of the city of Manila, is the hub of Chinese culture and is one of the biggest and oldest Chinatowns in the world. The area abounds in restaurants, bakeries, gift shops, and jewelry stores. Ongpin and Carvajal streets are filled with many of these, as well as street vendors selling fruits and delicacies. If you want to go on a Binondo food trip, you should commute by jeep or taxi to the Filipino-Chinese Friendship Arc, the landmark which welcomes you to the heart of Chinatown. From this point, you should be ready to walk your way around the area, as the streets are difficult to negotiate by motor vehicle. Right under the Friendship arc is already the iconic Savory Restaurant, best known for its fried chicken. But don’t just stop there because there are just so many more gastronomic delights awaiting you further down the road. 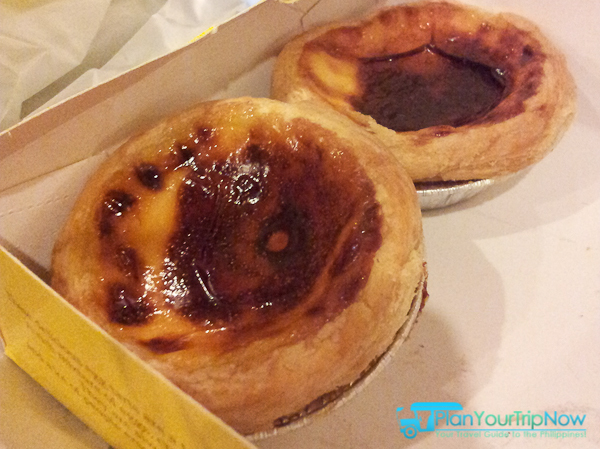 Make your way into Carvajal street where you can snap up delicious Chinese noodles or dumplings in Quick Snack. Then make your way to Chuan Kee on Ongpin Street where you can gobble hearty ma-chang (sticky rice and meat wrapped in lotus leaves) and slurp up a thick meaty soup called maki mi. Thirsty? Go for the luscious almond shake that Chuan Kee is famous for. Still got room for more? Try munching on Tasty Dumplings and Shanghai fried siopao. It’s so easy to find them because they’re just along your path. If you prefer roasted meat or asado, try it at Lido Restaurant. There’s Wai Ying on Benavidez Street (it’s one tricycle ride from Ongpin) known for dimsum and Sincerity Cafe on Nueva Street with its best-selling fried chicken. These are only a sampling of gastronomic delights in Binondo restaurants worth trying. Chinese New Year in Binondo won’t be complete without these whimsical creatures cavorting around the streets, eager to catch angpao (red envelopes with money) from stores and passersby. Some shop and homeowners even tie the angpao onto a ceiling or window awning to make it more challenging for the dancers to get to them. But don’t underestimate these dancers, because they have very creative ways and means of stretching the dragon or the lion to reach up high and capture the envelopes. 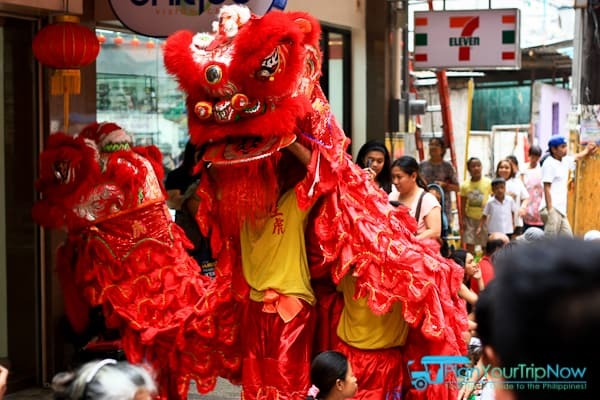 The dragon and lion dance to the rhythm of drumbeats and cymbals that accompany them on their route. Too Full from Your Binondo Food Trip? Walk it! There are quaint little souvenir and gift shops along Ongpin. Further down are numerous jewelry shops where you can find anything from infant coral bracelets to five-figure pendants. There are deli shops and bakeries, the most noted of which is Eng Bee Tin, where you can buy preserved fruits, candies, cookies, and pastries. You’ll be delighted to know that your pesos will go very far in Binondo, particularly if you shop in Divisoria’s Lucky Chinatown Mall and adjacent buildings. From Ongpin, you will have to take a tricycle or cab to the mall and then walk your way to the buildings around the place. The mall itself has modern boutiques featuring designer clothes and specialty goods not unlike other malls in the Philippines. But it’s the basement area you will want to go to, as this is where the bargain area is. From this point, you can also exit the mall to other multi-level buildings with zillions of goods at dirt-cheap prices. We all hope for good fortune this year, and what better way than to pray for it at local Binondo churches and temples. Right at the heart of Chinatown is San Lorenzo Ruiz Church, better known as Binondo Church. Alternatively, you may want to visit another Catholic church on Plaza Sta. Cruz, known as Our Lady of the Pillar. Many ethnic Filipino-Chinese, especially those who reside in Binondo, flock to the temples on Chinese New Year’s Eve, so that they can be one of the first to light incense at the stroke of midnight. This gesture is supposed to bring tremendous luck to the first person who can manage to light the incense ahead of the others. Good luck trying that! Or just for curiosity, do visit the Kuang Kong and Seng Guan temples along Narra Street, and try asking a yes-no question about any personal or business concern. The monks at the temple will assist you in interpreting the answer to your question. Kung Hei Fat Choy / Gong Xi Fa Cai to all! It was the night before Pope Francis will arrive in the Philippines. It would be his first visit to the country. This visit is special since he’ll be going to the typhoon-ravaged Tacloban and lift the spirits up of the people there. The Philippines is a predominantly Roman Catholic so it is not surprising that a lot of people are excited to catch a glimpse (and maybe have a selfie too) of the head of the Church. I was contemplating whether to attend or not so I just posted a status on Facebook asking if some of my friends would be interested to go to Baclaran and welcome the Pope, and if someone would join me, I’ll give it a go. My photographer friend, Ohsie, responded that she’d love to see the Pope too so we set a meeting place and time. We haven’t seen each other for a while so this is also the perfect time to hang-out again. I’m riding a jeepney on my way to Baclaran when my phone suddenly rings, displaying a cellphone number I don’t recognize. Cautiously, I answered it. It’s my college friend, Borge. Apparently, he read my Facebook post and he’s already at the meeting place, Max’s restaurant, looking for me. It’s amazing how social media works. 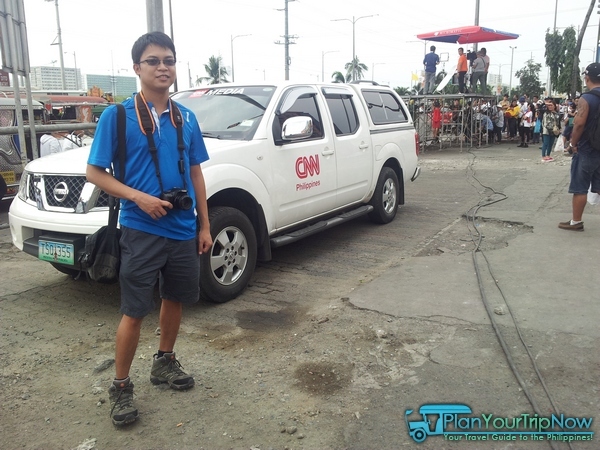 The published route of Pope Francis includes the Roxas Boulevard which is just in front of Max’s restaurant. 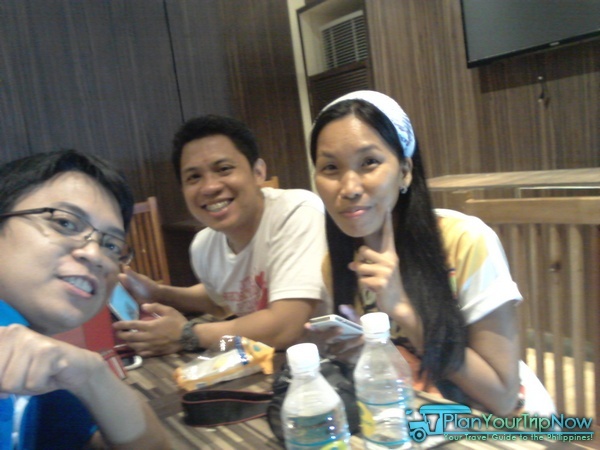 We stuffed ourselves with their famous dish Max’s fried chicken and buko pandan dessert so that we would have enough energy for the long wait later. And what a long wait it is! Thankfully, I’m with friends that I haven’t seen for a while so it’s great to catch up on each other’s lives while killing time. We’ve also made new friends too with people who are seating next to us. What else are you gonna do, right? Some of the people in the crowd can access tv signals on their phone so we get updated from news channels about the status of Pope Francis’ arrival. The Pope’s plane landed on the Ninoy Aquino International Airport at around 5pm. The crowd became so excited upon hearing the news. The policemen took on their assigned positions while the cameramen made some last minute adjustment to get that perfect shot. But 6pm came, then 6:30pm passed, there’s still no sign of the Pope. 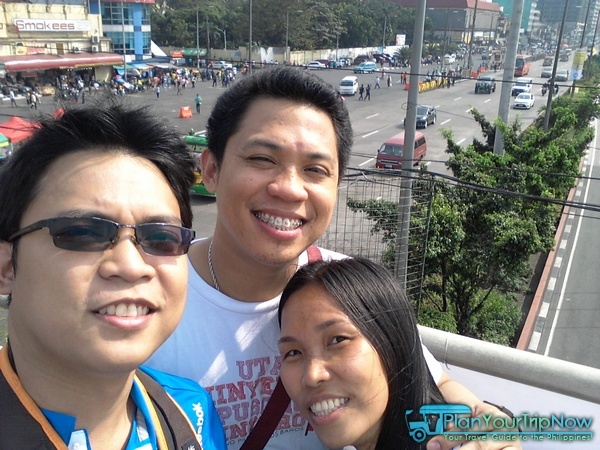 We learned from the news that Pope Francis has to attend first to the welcoming rites prepared for him and that the roads around the airport were completely filled with people, as well. The police were having a hard time controlling the crowd. Finally, a few minutes after 7pm, we saw police escorts rushing in one by one and then we saw Pope Francis on his Pope mobile. The crowd went wild! Everyone started raising their hands, cheering and welcoming Pope Francis. We caught a glimpse of him for just a few seconds since the pope mobile is traveling really fast. But that few seconds is enough to inspire and bring hope to this country. 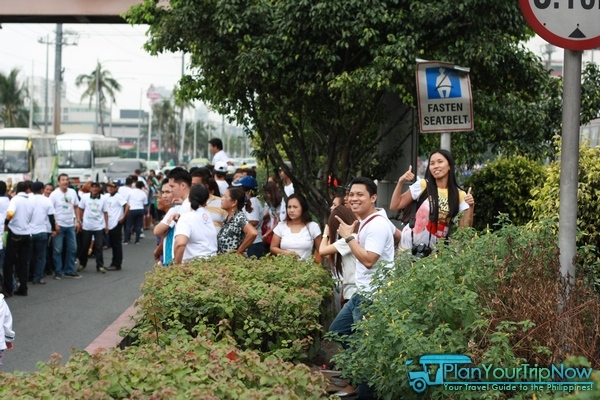 When Pope John Paul II came to the Philippines for the World Youth Day in 1995, I was just 11 years old then and wasn’t able to see him, although me and my mom had already positioned ourselves on the side of the road that the pope mobile would pass. 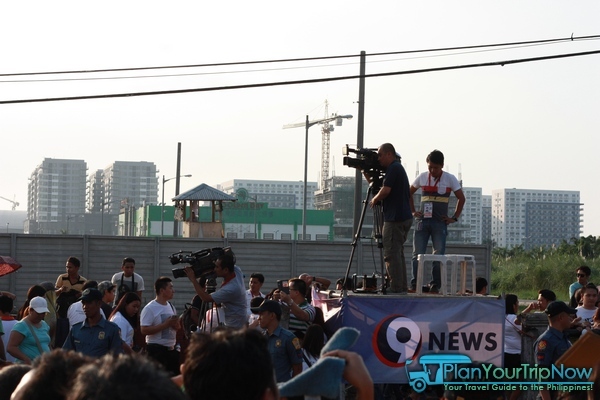 What happened next was, the crowd got so thick in Rizal Park during that time, that’s why they decided to just transport Pope John Paul II using a helicopter to the Quirino Grandstand. 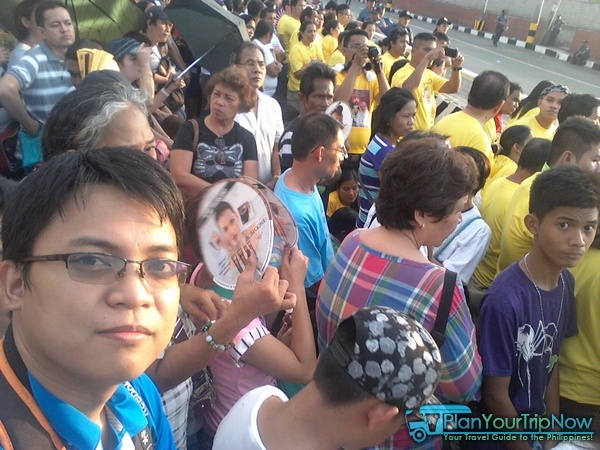 Imagine our dismay upon seeing that the Pope is already on stage and we didn’t get a chance to catch a glimpse of him. Seeing the Pope is one of my childhood dream that I was able to fulfill now as an adult which makes the 7 hours of waiting wasn’t so bad considering I’ve waited years to have this opportunity. Haha Cheers!